There was plenty of drama on National Signing Day and the week leading up to it, but as expected there was one high school that stole the show. 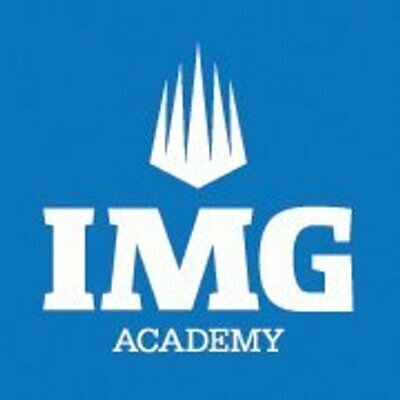 IMG Academy out of Bradenton, Florida had a total of 23 players commit to NCAA FBS Division One teams, the most in the nation from one school according to MaxPreps. When you look at the talented class of seniors and break down the numbers, there are two 5 stars, ten 4 stars, eight 3 stars and two 2 stars commits. Twenty-three players alone is a class in itself. Now you might be thinking, where would IMG Academy rank nationally if it were an actual Division One college and had recruited its high school senior class? How would that group of seniors rank nationally as a class? Well, I thought ahead and crunched the numbers. As you might have expected based on the numbers above, this class is one of the best in the nation from a single school. How do they rank against actual top college programs like Alabama, LSU or the most recently crowned National Championship Clemson? Using, 247Sports’ “Class Calculator”, I entered the names of each of the official commits from IMG and the calculator did the rest. I found that the class would have a projected team score of 275.72. Which yes, is very high. Now, what does that number represent? According to 247Sports.com, “The 247Sports Composite is a proprietary algorithm that compiles rankings and ratings listed in the public domain by the major media recruiting services, creating the industry’s most comprehensive and unbiased prospect and team rankings.” It’s used to rank classes. Where does the number 275.72 rank? This is the crazy part. 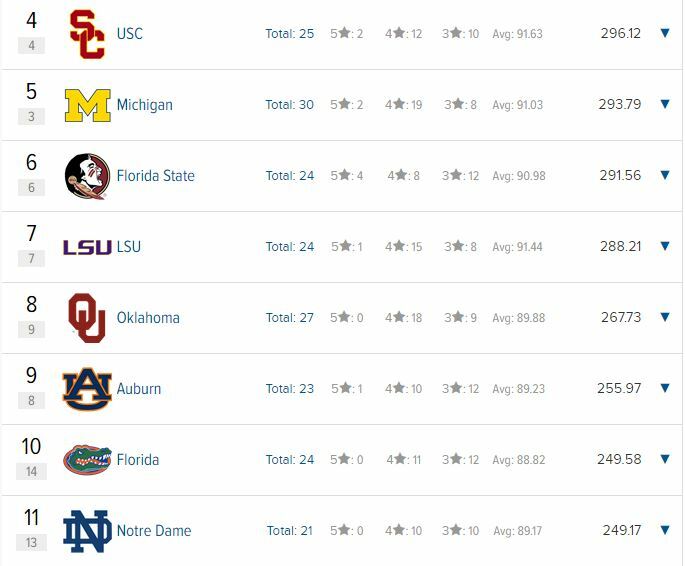 According to 247’s 2017 Football Recruiting Composite Team Rankings, IMG would be ranked 8th in the nation right between LSU and Oklahoma, ahead of Auburn, Florida, Notre Dame and even Clemson. This senior class from IMG is one like none other. I can imagine, many of you are thinking, “oh my goodness, he’s not about to make the claim that IMG could beat those schools”. Well, yes and no. First of all, no matter your opinion of IMG Academy and the school itself, the facts are straight. The program is one of the best in the nation as showcased above. The talent and coaching are there. This year’s class is absolutely loaded and these athletes are committed to some of the best college teams in the country. Could they knock off a top 25 team? No. I think the game would be interesting at first, but the overall level of play and training in college is much higher. The game of college football is a different animal than high school football. However, IMG definitely has some of the best overall talent. In terms of quality and quantity for a single class, IMG ranks the highest as I noted above with 25 football players signing to Division One schools. 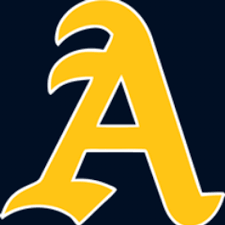 Up next would be St. Thomas Aquinas from Fort Lauderdale, Florida. Aquinas has 18 total players committed to Division One FBS schools according to MaxPreps. 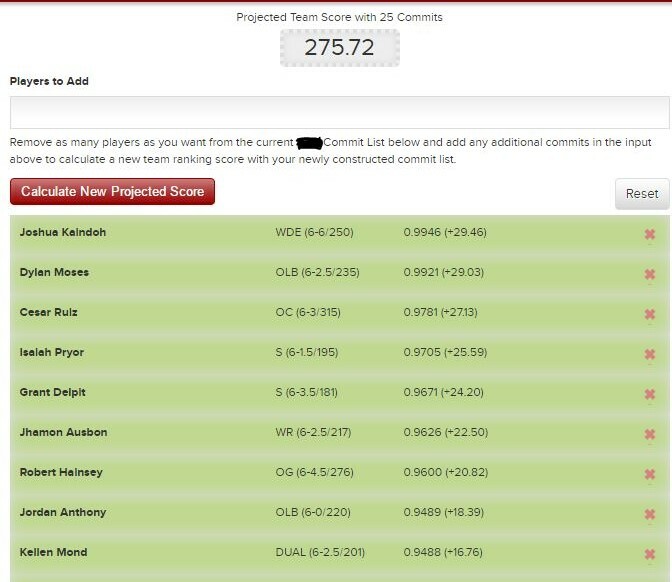 Using the same algorithm from 247Sports, STA’s class has a composite score of 181.49. Although they’ve got two of the nation’s best wide receivers in Mike Harley and Trevon Grimes, not to mention Gator commit and quarterback Jake Allen, they don’t have the quantity compared to IMG. Still, Aquinas’s class would be placed right outside the top 50 in the nation behind Missouri, and in front of Texas Tech and NC State. The Raiders are a top high school team in the nation, but IMG Academy has more athletes with higher individual scores. Remember, I am talking both quality and quantity based off rankings on 247Sports.com. As top ten recruiting class in the nation, IMG Academy certainly has some of the best athletes. Of course, “stars” aren’t everything in football as Houston Texan JJ Watt was a two-star recruit. Still, for one high school to have 25 Division One commits and a hypothetical top ten college class is an impressive feat… to say the least. This entry was posted in College Signings, Football, High School Football.